With Ginger Domain’s email monitoring service, you can keep track of mails that are sent or received in your domain name. 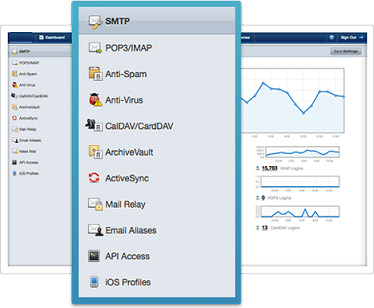 We offer a comprehensive email tracking solution. It does not matter how far your branches or employees are. 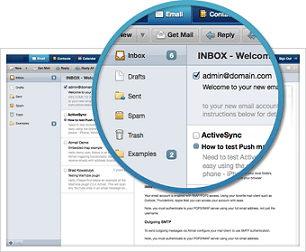 You can use any standard mail client such as outlook, etc. to keep track of all the mails that sent or received. Domain owners can access their email ids in just one click from the admin panel with the help of our email monitoring services. We provide absolute tracking of your corporate mail communications. It is mandatory to safeguard and archive communications that everyone in an organization make with the outside world according to the latest compliance requirements. Such a software is required for issues such as mail loss, improper documentation, communication proof, etc. apart from security. With our email monitoring service, you can track all the incoming and outgoing mails in a particular domain name or mail server. Logs of mails tracked are made seamlessly at zero server resource, since it works on the edge of the network. A system admin can retrieve the tracked logs that are archived in a centralized location. No extra settings are necessary, in case of the geographical distribution and the number of email accounts that are created.